One of the most frequent concerns we hear from online retailers about collecting sales tax is that it will simply be too costly. We’ve heard estimates that range up to $400,000 per year—which is insane. We don’t think that anyone should have to spend that kind of money simply to collect sales tax. In fact, we don’t think that anyone should have to spend money to collect sales tax, full stop. That’s why we created TaxCloud, to give online retailers a free way to manage sales tax. Instead of charging to use TaxCloud, we receive a commission from states based on the amount of sales tax we help retailers collect. That’s also why the Marketplace Fairness Act requires states to provide free sales tax software for retailers. But even with the promise of free sales tax software and services, concerns about costs remain. Nothing is really free, the argument goes; there must be hidden costs somewhere. So let’s look at the most common arguments we hear on why collecting sales tax online would be too expensive. 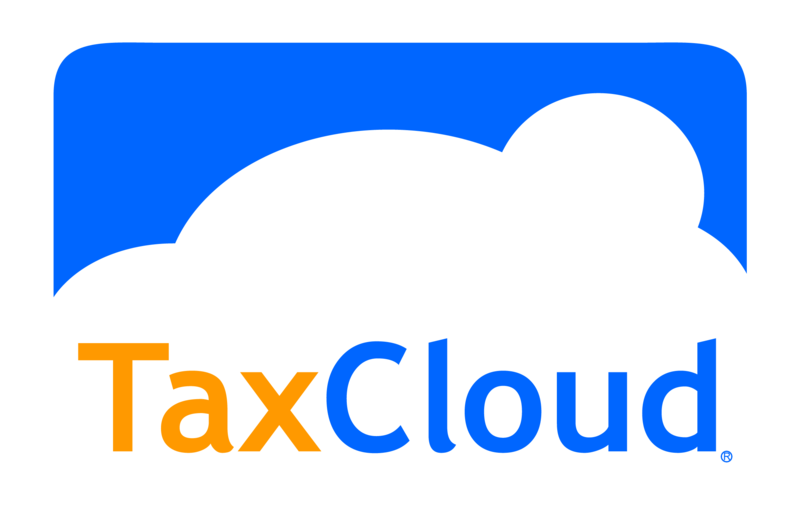 Keep in mind, we can only speak to how TaxCloud works, so all the information here pertains to TaxCloud and not to any other sales tax management software or service. Training employees to use sales tax software is costly and time-consuming. TaxCloud was designed to be easy for anyone to use. From registration to going live takes as little twenty minutes. What’s more, once TaxCloud is activated for a store, there’s next to no upkeep. If we’re filing the store’s sales tax returns, we ask that they review their returns once a month. Other than that, retailers don’t need to think about it—they can just set it up and forget it. There’s no training involved, and anyone who can manage an online store won’t have any trouble using TaxCloud. Necessary software upgrades cost money. Because TaxCloud is a real-time web service, not software that’s uploaded or downloaded, there are no upgrades. Tax rates are updated and new features are added behind the scenes, so retailers see those results automatically, without doing anything extra. And as always, there’s no charge for the service at all. It’s too expensive to hire developers to set up software to work with existing systems. TaxCloud is integrated directly with the e-commerce platforms that most online retailers use to run their shops. That means that our developers work with the platform’s developers to make TaxCloud available to users. Retailers using e-commerce platforms that are integrated with TaxCloud don’t need to hire their own developers. If your e-commerce platform doesn’t support TaxCloud yet, then call them and ask when TaxCloud will be available—TaxCloud is free for platforms as well. We’d have to hire an accounting staff just to keep track of everything. This is the beauty of sales tax management services: It’s all automated. There’s no need to calculate anything, or look up sales tax rates, or fill out sales tax returns, or even write a check to remit the sales tax that’s been collected. TaxCloud handles all of that. We completely agree that there shouldn’t be any compliance costs associated with online sales tax, and we’ve worked hard to create a free service that handles every aspect of sales tax for retailers. Cost simply shouldn’t be a factor, and with TaxCloud, it isn’t. This entry was posted on Thursday, July 25th, 2013 at 11:37 pm and is filed under FAQ, Federal Legislation, Technologies. You can follow any responses to this entry through the RSS 2.0 feed. You can leave a response, or trackback from your own site. Will tax cloud map out and interpret where 10,000 products fall into all the state(50) and local jurisdiction tax laws(thousands)? And update that map every time these tax law change? And pay the auditors when they disagree with your interpretation of the laws? Thanks for your comment. Yes, TaxCloud keeps track of the taxability of different items so merchants don’t have to. Our belief is that, as an online seller, you should not have to keep track of such things, that’s our job – you should simply focus on selling your wares, we will ensure you are collecting the correct sales tax due for wherever your customers may be. Regarding your question about auditors and our “interpretation of the laws” – I’m afraid you may not understand how TaxCloud works. As a Certified Service Provider, we do not interpret state laws. Rather states provide us with all of their definitions, rules, and rates, and we make those three data sources work together at lighting-fast speed. The 24 SSUTA states have already tested our systems and certified TaxCloud, so if an auditor disagreed with TaxCloud, they would be disagreeing with the data provided by their own Department of Revenue – which is why you would be indemnified. You may also want to take a look at one of our recent posts, How sales tax management services handle audits. Enough with the free software myth. For one thing, the simple act of a showing the calculated tax rate is just the tip of the iceberg in business processes. Taxcloud and others who stand to profit from this legislation continue to ignore or deny the actual burdens retailer will face. It’s not free, it’s not magical that all problems are solved. Our order processing software? Nope. The audit threats are also minimized. Free software is not a myth.